Percentages at first seem like a very distinct math topic until you realize they are nothing more than fractions of 100. 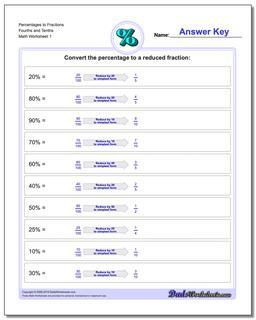 This opens up a number of useful tricks, including converting between fractions and percentages, that are best explored by practicing various patterns of converting between fractions, percentages and parts of a whole expressed as a percent value. The worksheets in this section do exactly that, and are appropriate for students in 4rd grade, 4th grade and 5th grade who have some basic familiarity with fractions. 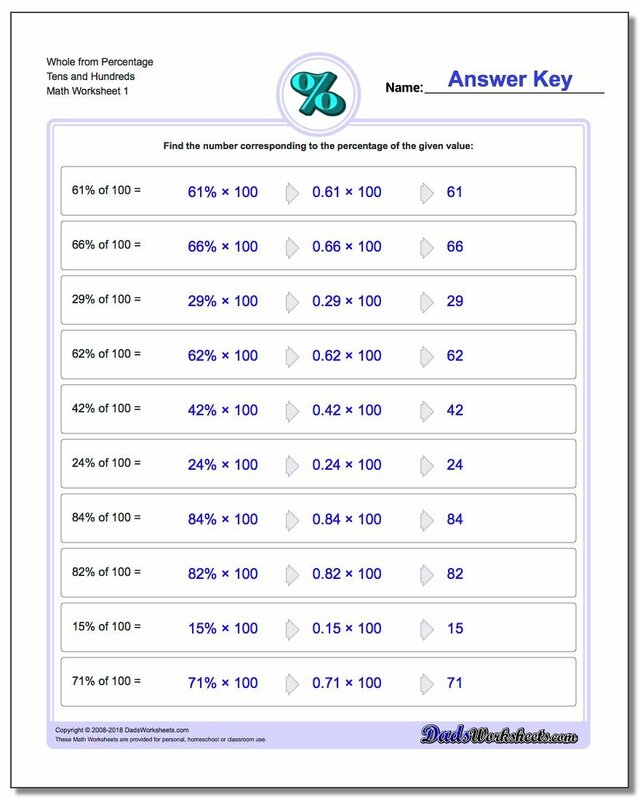 Percent worksheets where students are given two numbers and must determine what percentage one number is of the other number. 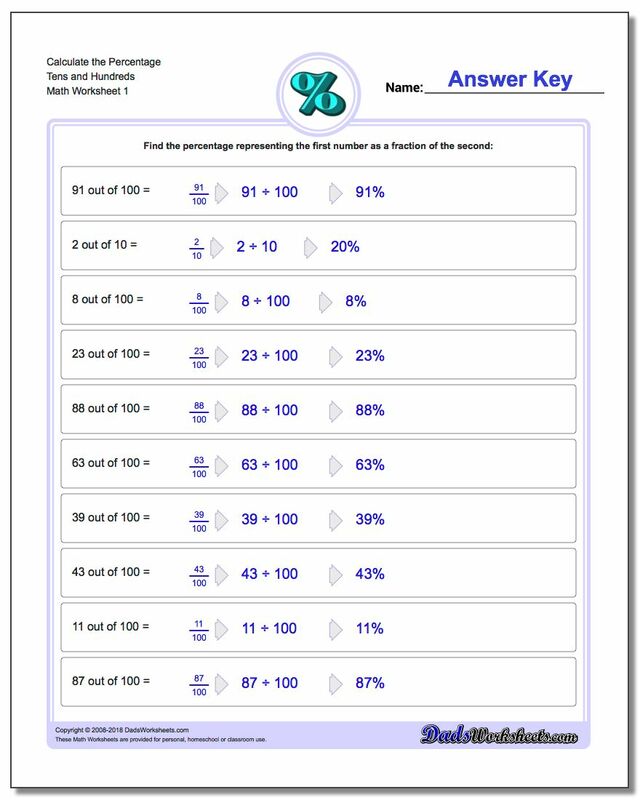 Percent worksheets where students are given a whole number and a percentage, and must calculate the fraction of the whole represented. Percentage values figure prominently in many areas of mathematics, and an everyday problem is needing to calculate percentage from two numbers. These basic skills come into play when calculating the percentage of a restaurant bill to leave as a tip, calculating how much something costs after sales tax or even calculating simple measurements like body fat and BMI. With so many applications requiring calculating percentages, they are an excellent answer to that 'What do I need math for?' question that our students love to pose. With these worksheets, students will practice how to turn a convert a fraction to percent form, change a percent to fraction form, and separately deal with percentages of two numbers presented independently.